If you are looking for beaches, you’ll find it hard to shortlist from the 2,000km of coastline. Massive stretches of safe, soft white sandy shores abound here. Do you want urban beaches such as Sardinero in Santander or the Concha in San Sebastian? Or how about a hidden cove such as Oyambre. 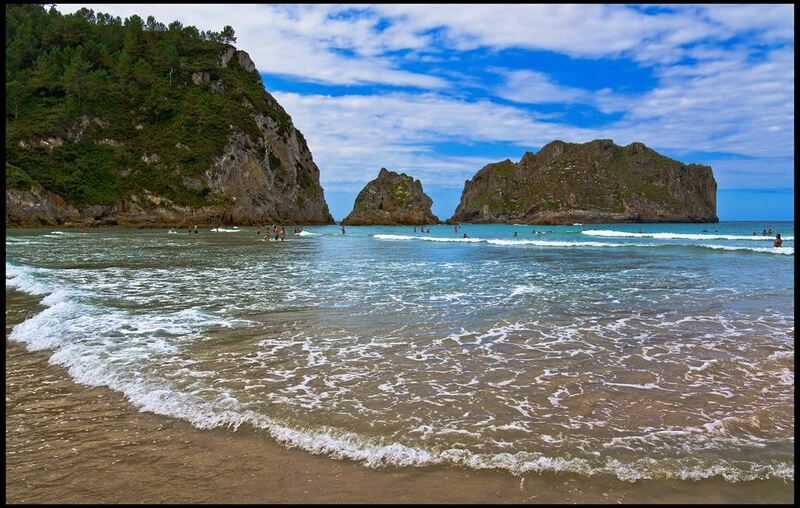 Or perhaps a beach by a fishing port such as Llanes or San Vicente de Barquera where you can have grilled sardines after a long swim. Read our guide to the best fishing port villages in Northern Spain for more ideas. 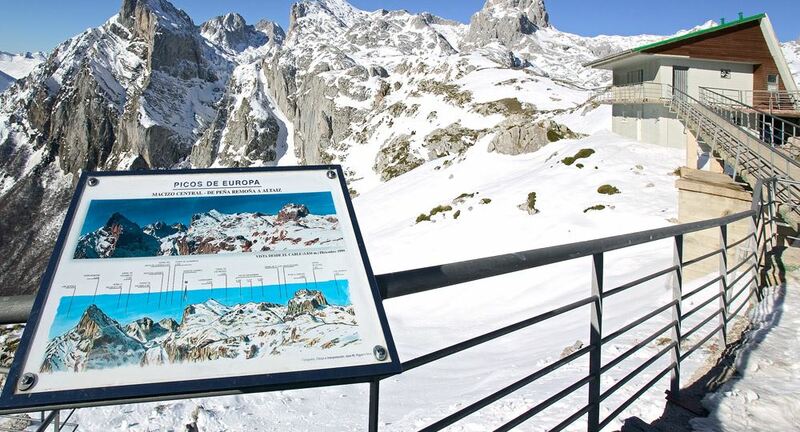 You must not miss the chance to travel to the stunning Picos de Europa mountain range – a national park popular for hiking, walking, bird-watching and water adventure sports. The views are jaw-droppingly beautiful. And there are many organised walks and activities to take part in. Not a walker? No problem – take the cable car at Fuente De and you’ll have a birds-eye view without having to put on any hiking gear. And don’t miss charming Potes town on the way. Read our post on the Picos de Europa and Potes here. When it comes to modern manmade pleasures in Northern Spain, you cannot beat the titanium wonder that is the Guggenheim Museum. If you read our guide to Bilbao, you’ll see we love the walk from the Guggenheim to the Casco Viejo or old city along the riverbank by the Calatrava-designed pedestrian bridge. 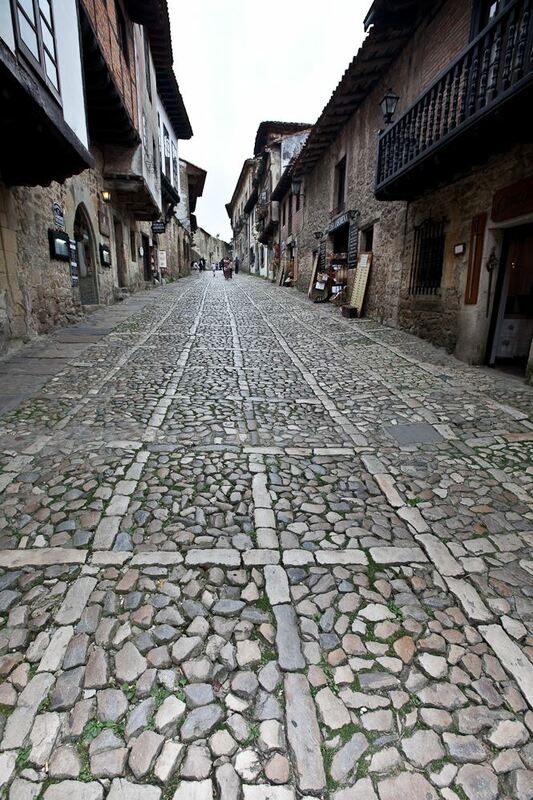 We highly recommend visiting some of the older traditional towns and villages in Green Spain – for example the UNESCO-listed Santillana del Mar – a VIII century town loved for its Colegiata church, Parador and old-world charm. Closeby are the Altamira cave paintings and the Cabarceno Wildlife Park. And did you know that one of the few buildings by Antoni Gaudi outside of his native Catalonia, El Capricho, can be visited in picturesque Comillas? Read more about this and other great museums in Cantabria. If you like vineyards, you’ll love visiting the many wine producers in regions such as Galicia and the Basque Country. 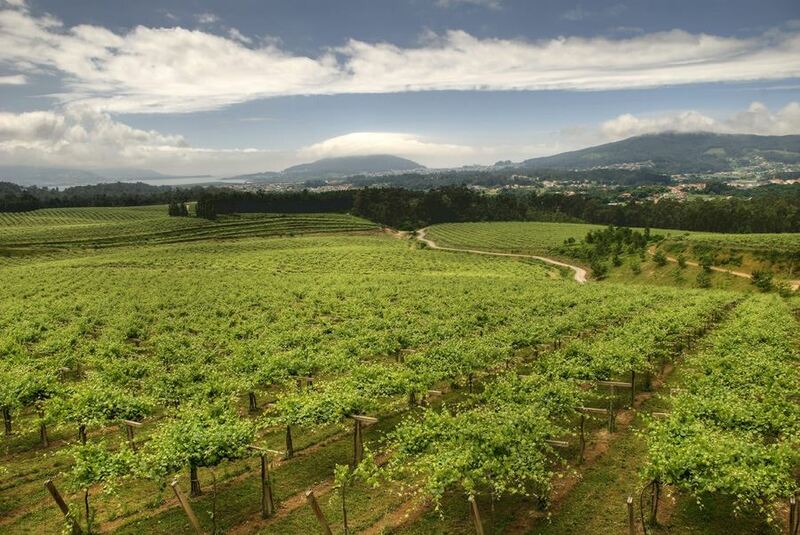 We love Rias Baixas and Txakoli regional varieties known as denominaciones de origin – and think you will too. Of course, everywhere you go – you’ll also find local distilleries making Orujo in Cantabria and natural cider brewing in Asturias. And there are lots of great wineries in the Rioja Alavesa wine region, in the Rias Baixas in Galicia and even a few wineries in Cantabria to visit. Check out the Michelin-star restaurants in Cantabria also. Basque cuisine has been in the spotlight for many years for its Michelin-star success – being home to 3 of the 5 top-rated restaurants in the country – and also its tapas or pintxos as they are called locally. We are delighted to suggest Michelin star restaurants, tapas bars and kitchens aplenty where the slow-food ethos is unknowingly championed across Green Spain. 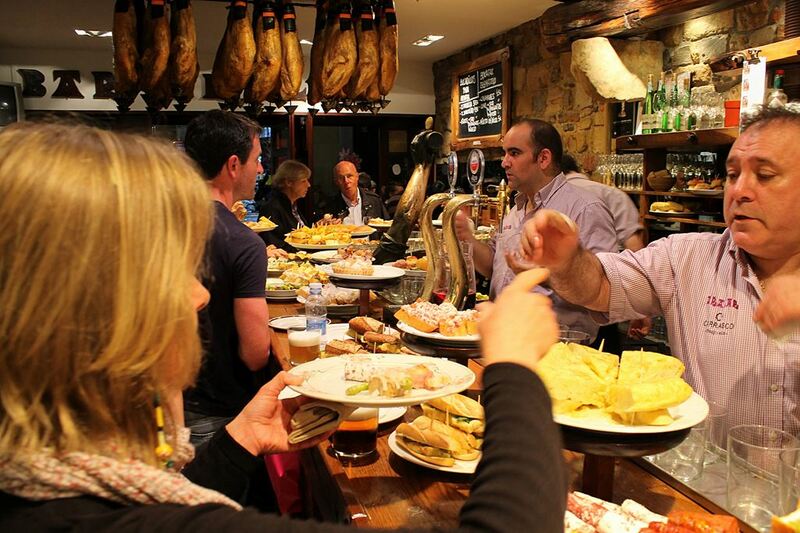 In the larger towns and cities such as Santiago, Oviedo, Santander, Bilbao and San Sebastian we can arrange guided tapas tours at lunchtime or in the evening. Throughout the area, we can also suggest trips to artisan food-producers and give tips on local delicacies you should try at each stop. Read our guide to San Sebastian and agricultural tourism for more ideas. Access to this area by ferry is into Santander from Plymouth and Portsmouth (UK) and into Bilbao from Portsmouth (UK) with Brittany Ferries. By plane you can land in A Coruña, Santiago, Asturias, Santander and Bilbao airports. Also Biarritz airport in France. By rail, you can arrive at Hendaye/Hendaya on the French/Spanish border and swap onto the Euskaltren to San Sebastian. 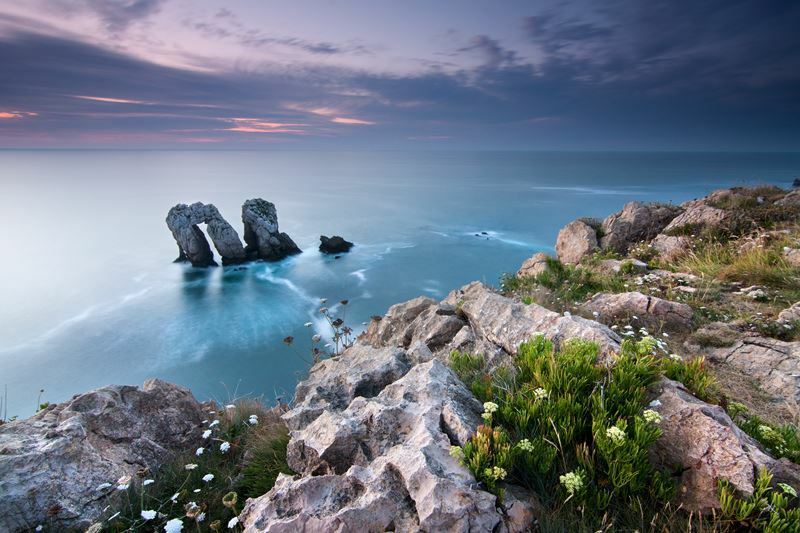 Northern Spain is perfect for a self-drive holiday. There is a great network of motorways to get from place to place quickly – yet you can easily meander by secondary roads as well. Although a number of connections are serviced by bus routes, we do not recommend it as an efficient way to get about. There is also a luxury train route along the northern coast – the El Transcantabrico – although at approx. 2,000EUR per person sharing – it’s not for everybody. [At a first glance it seems expensive but it does include bed and board for seven days plus access to a fulltime guide and bus-shuttle services to and from the train stations en-route to local points of interest such as the Altamira caves.] Pro-tip: We can also arrange for a private driver to take you around Northern Spain. Read our guide to the benefits of hiring a private driver and guide here. You might also be interested in our guide to driving the Camino de Santiago. We have worked with self-catering providers in a rural hideaways as well as family-run posadas and the highly acclaimed historical paradores. We’ll find the best match for your particular needs – whether that’s a room with a view, a hotel that can cater for any special dietary requirements – or a place that will prepare a picnic for you to take out for the day. Read our much more detailed Guide to Northern Spain which includes hotel recommendations and talk to us about your trip today. We live here. 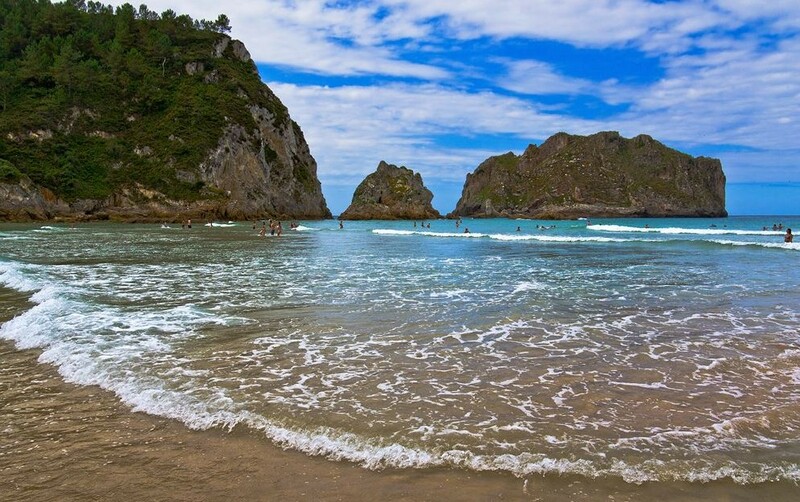 We love the North of Spain. Let us help you get the most from your vacation. Posted in Active breaks, Asturias, Basque Country, Beaches, Camino de Santiago, Cantabria, Caves, Food & Drink, Galicia, Gaudí, Getting Around, Green Spain, Museums & Galleries, National Parks, Popular Posts, Wineries and tagged Asturias, Basque Country, Bilbao, Cabarceno, Calatrava, Camino de Santiago, Cantabria, Comillas, El Capricho, Espana Verde, Fuente De, Galicia, Green Spain, Guggenheim, Liencres, north spain, northern spain, Orujo, Picos de Europa, Potes, Rias Baixas, San Sebastian, Santander, Santiago, Santillana del Mar, Transcantabrico, Txacoli.